O’Hara’s Lublin to Dublin 2015 | Simon Says… You really should drink this! If I keep going like this I’m going to have to change the name of the blog to: ‘Simon Says You Really Should Drink This Stout!’ The only positive thing I can take from having lived through the worst Summer ever… is that it doesn’t feel wrong to drink big dark beers! O’Hara’s Lublin to Dublin has been produced for a second year. Pinta Brewers from Lublin in Poland came over to Carlow to produce this Robust Milk Stout. It pours a deep dark black and has a slightly foamy warm tan coloured head. It smells of roast malt and chocolate. The taste is a little bitter, like dark chocolate and the star anise gives it a subtle touch of liquorice. I liked it a lot. I heard some said they preferred last year’s incarnation, but you can’t actually remember what beer from last month tasted like, let alone last year. So unless they took copious notes or have a few bottles stashed away I’d take that with a pinch of salt…Enjoy the beer in front of you. Sláinte! 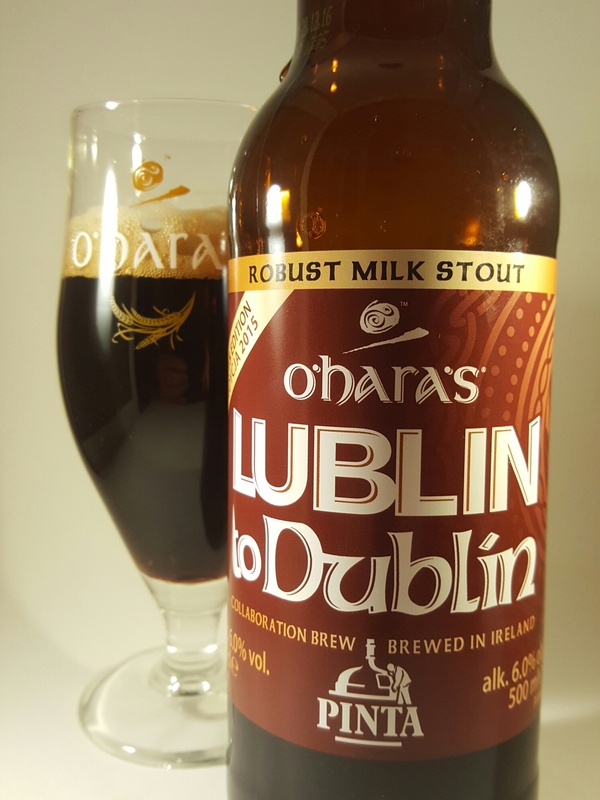 This entry was posted in Uncategorized and tagged Beer, Carlow, irish craft breweries, stout. Bookmark the permalink.